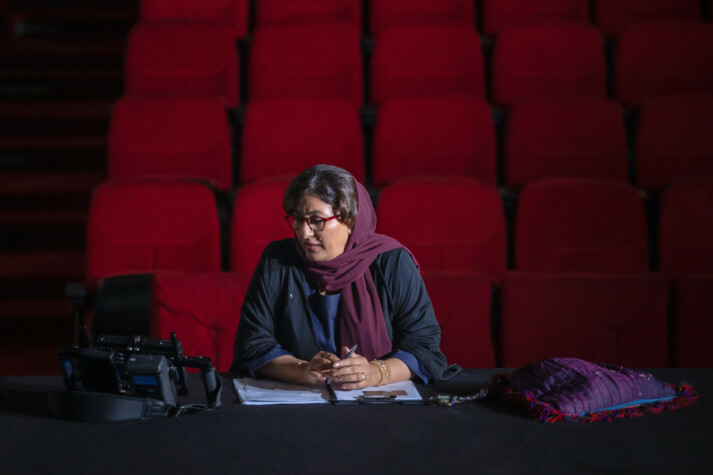 Documentary filmmaker Nujoom Al Ganem will represent the UAE at the 2019 Venice Biennale, which runs from May until November this year. Sam Bardaouil and Till Fellrath, the curators of the National Pavilion UAE at the biennale, have invited the Emirati poet and filmmaker to represent the country with a video installation. Al Ganem, whose cinematic pieces include ‘Nearby Sky’, ‘Sounds of the Sea’ and ‘Sharp Tools’, said her work has been shaped by personal experience in a “rapidly transforming society”. “The individual approach in which I have had to resolve the tension between tradition and modernity has deeply impacted the content of my work as an artist, and is embedded in my writing and filmmaking. As a woman, I have found it fulfilling to focus on extraordinary female stories from our society or the Arab world that are worth being highlighted,” she said. The 58th International Art Exhibition of the Venice Biennale will take place from May 11 to November 24. It joins more than 80 national pavilions under the title ‘May You Live in Interesting Times’. Considered a prestigious art event, it attracts more than half a million visitors per edition.